We have information you must know before you buy the Prius. See used Toyota Prius listings in your area. The most fuel-efficient vehicle is also the best value on the market, period. The Toyota Prius launched in Japan in 1997 and made its debut in the U.S. in 2000 as a 2001 model year vehicle. The Prius quickly picked up steam and as of the 2013 model year, it is one of the most recognizable hybrid cars on the road. Coming into the 2013 model year, the Toyota Prius is a carryover with the exception of its new trim level, the Three SE, which is also called the Persona Series Special Edition. In total, the Prius has five easy-to-remember trim levels: Two, Three, Three SE, Four and Five. All of the trims come with a 1.8-liter four-cylinder engine combined with electric motors to create 134 horsepower that travels through a CVT to the front wheels. 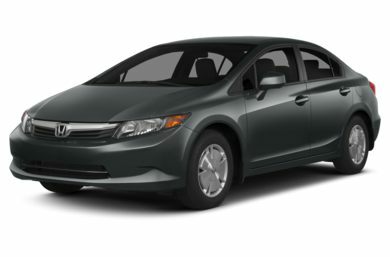 This combo nets the 2013 Prius 51 mpg city and 48 mpg highway. The Two trim level is the entry-level model and it includes your basic AM/FM/CD audio system, cloth seating and 15-inch alloy wheels. The Three trim level adds in things like a backup camera, keyless entry and voice command. The Three SE adds SofTex faux leather, various interior upgrades and an exclusive exterior-color option. The Four trim level gets you a power driver seat and an upgraded sound system. The Five trim level caps it all off with 18-inch wheels, fog lamps and other premium exterior features. On top of the trim levels, Toyota also offers three optional packages. The Solar Roof Package is only available as an option on the Three trim level and adds in a power sunroof, a solar-powered ventilation system, remote A/C and a sliding sunshade. The Deluxe Solar Roof Package is an option on the Four trim level and adds a heads-up display, hard-drive-based navigation and Safety Connect to the Solar Roof Package’s basic features. The final optional package is the Advanced Technology Package, which is only available on the Five trim level and includes Dynamic Radar Cruise Control, Pre-Collision System, Lane Keep Assistant, premium hard-drive-based navigation, Entune and Safety Connect. The hybrid realm is constantly growing, so the Prius has plenty of competition. The top competitor for the Prius is the 2013 Honda Insight, which includes a 98-horsepower driveline, continuously variable transmission and 41 mpg city. 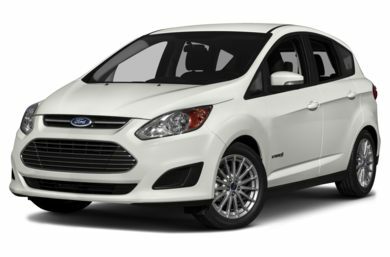 Next up is the Ford C-Max Hybrid, which includes a 188-horsepower driveline, a CVT and 47 mpg in the city. You also can consider the 2013 Ford Fusion Hybrid, which has a 188-horsepower engine-and-motor setup that travels through a CVT, 17-inch alloy wheels and 47 mpg city. The Prius definitely has its hands full with its competitors, but its superior city mpg may be enough to put it over the top. The Two trim level is the base format for the 2013 Toyota Prius. 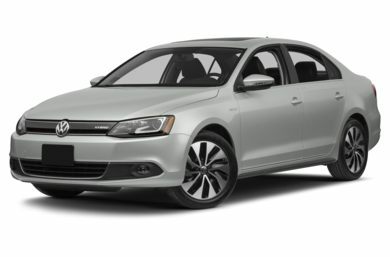 On the outside, this trim level includes projector headlights with an auto-off feature for better nighttime vision, LED taillights, so people behind can see you more clearly, 15-inch five-spoke alloy wheels for a more stylish look, and an in-glass antenna for a smoother-looking body. On the inside, the Prius Two includes automatic climate control for perfect cabin temperature, an AM/FM/CD/MP3/WMA audio system with 6.1-inch display and USB port for audio enjoyment, a Multi-Information Display to allow you to track fuel economy, energy and the hybrid system easily, and power windows and door locks. The Prius Three build onto the base that the Prius Two started by adding in more standard features. On the outside, the Prius Two and Prius Three are literally identical, all the way down to the 15-inch five-spoke wheels. On the inside, however, the Prius Three some extra goodies, including a display audio with navigation and Entune to keep you entertained and to make sure you always arrive at your destination, a backup camera for added safety, a SofTex-wrapped steering wheel for a more luxurious look and feel, and the Smart Key system for all three doors and push-button starting for added convenience. The 2013 Prius Three SE, which is also called the Prius Persona Series Special Edition, builds onto the Prius Three with an array of top-line features. On the outside, the Three SE adds in 17-inch alloy wheels in a premium finish for a sleek look, three exterior color options (Black, Blizzard Pearl or Persona Series-exclusive Black Cherry Pearl), and Persona Series exterior badges. On the inside, the Three SE adds in a Charcoal SofTex interior with black accents for added style, dark-red contrast stitching for a sportier look, and dark-chrome accents on the shifter-knob ring, door grips and steering wheel to cap off the custom interior look. The Prius Four adds even more premium features to the already-well-equipped Prius Three package. On the outside, the Prius Four tosses in a set of projector headlights with an auto-on and auto-off feature, so you never forget to use your headlights at nighttime. Inside the cabin, the Four trim level adds in a eight JBL GreenEdge speakers to the display audio system with navigation and Entune for even more listening pleasure, SofTex-trimmed seating with front-seat heaters and an eight-way power driver seat for superior comfort, and an auto-dimming rearview mirror to prevent being blinded by drivers behind you at nighttime. The Prius Five is as high as you can get in the 2013 model year Prius, as is adds even more premium features to the Four trim level. On the outside, the Prius Five adds in auto-on/off LED headlights for better nighttime vision, integrated fog lights for safe driving in foggy conditions, and 17-inch alloy wheels with low-profile tires for a sportier look and feel. Inside the cabin, the Prius Five carries over all of the same features as the Prius Four, meaning it includes the eight-speaker sound system, SofTex seating, power driver seat and an auto-dimming rearview mirror. We have partnered with trusted dealers in your area to give you a great price on the new Toyota Prius.